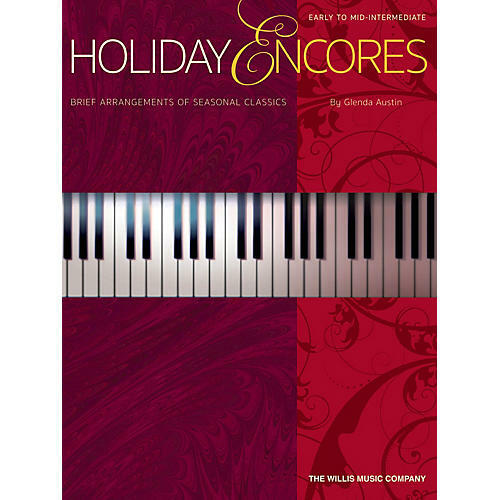 The Holiday Encores collection came about because of the popularity of Glenda's Facebook videos, many of them filmed during the holiday season before Thanksgiving and leading up to Christmas 2015 (all of which are still viewable online). These short, delightful pieces make perfect recital encores and can also be used to impress friends and family at holiday parties. Titles: I Saw Three Ships · Jingle Bells · Jolly Old St. Nicholas · Over the River and Through the Wood · Silent Night · Up on the Housetop · We Gather Together · We Three Kings.